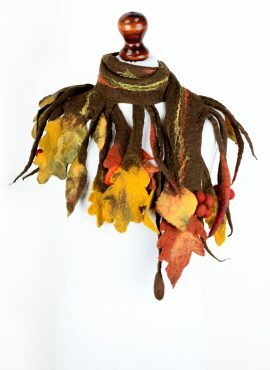 Unisex fall scarf with felted leaves for those, who love woodland style. 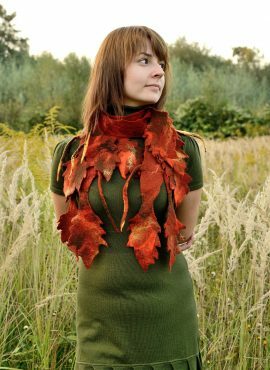 It is good for women and men and will give your outfit a bit of artistic look. 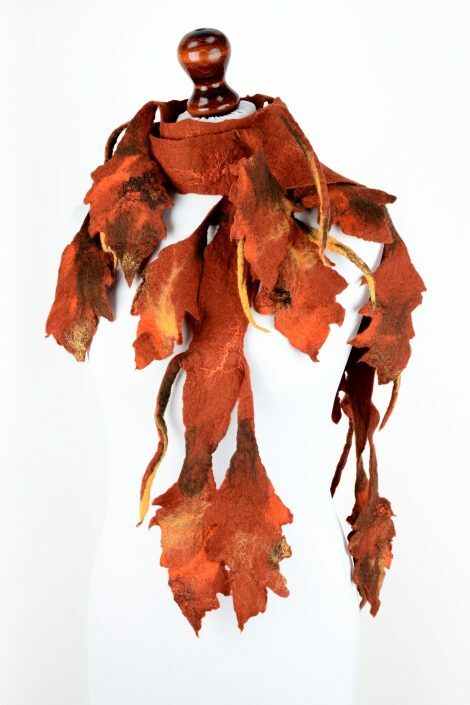 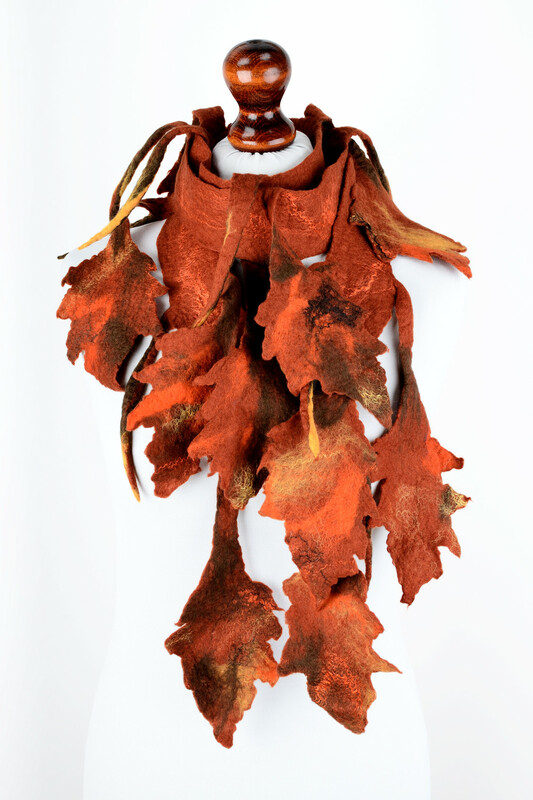 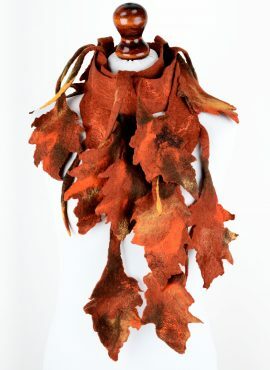 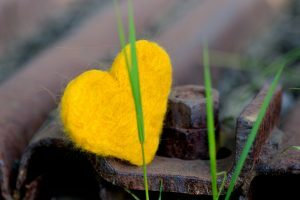 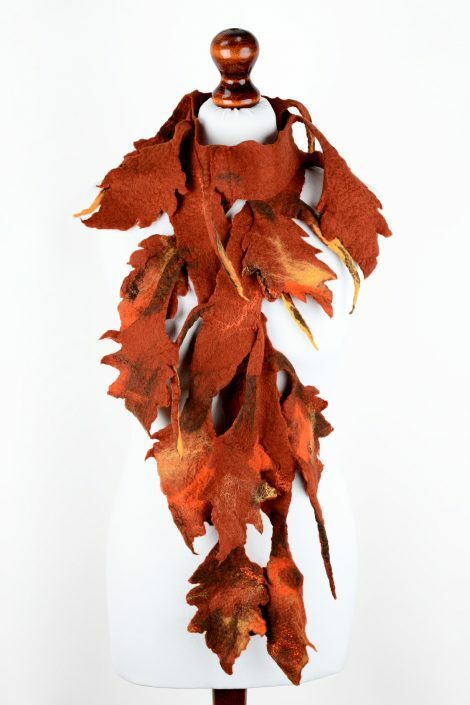 If you are preparing your wardrobe for autumn, take a look at this fall scarf with felted leaves. 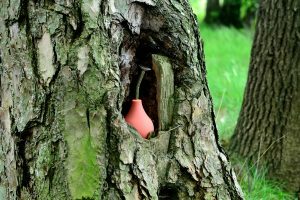 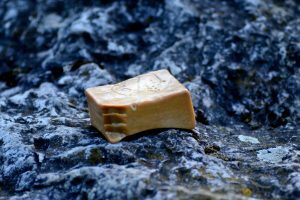 We designed it for those, who love woodland style, and created by hand of natural merino and silk fibers. 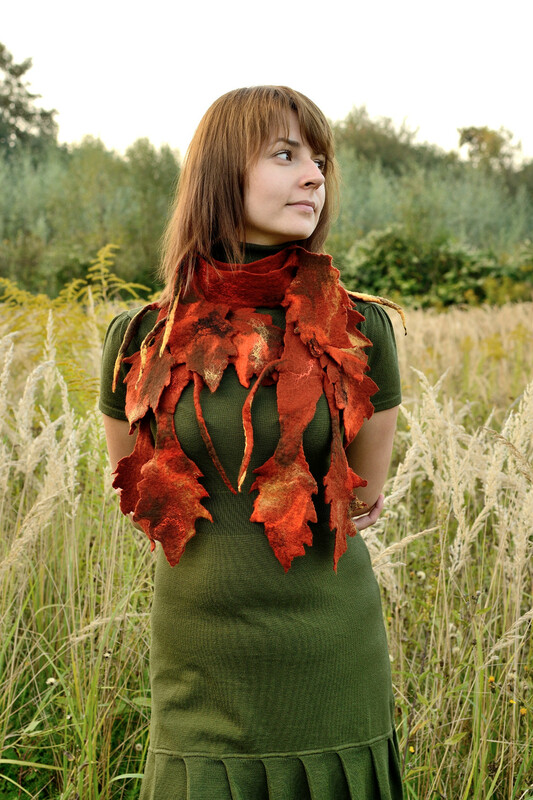 Its eco-friendly materials make this long felt scarf soft and nice in touch. Wool and silk are also lightweight, so you will barely feel it on your neck. This fall scarf is good both for women and men. 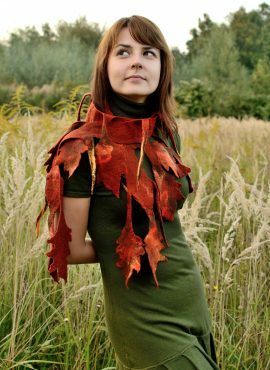 It is very cozy and can be worn for many occasions. 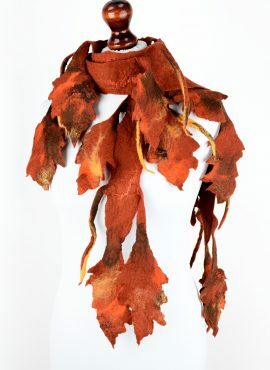 It fits with coats, jackets and sweaters, each time giving your outfit a bit of artistic look. 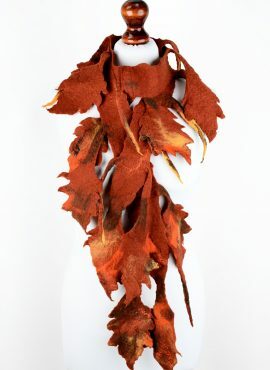 Its unique design and saturated ginger and rust tones make this unisex autumn scarf a perfect choice for those, who want to highlight their individuality. 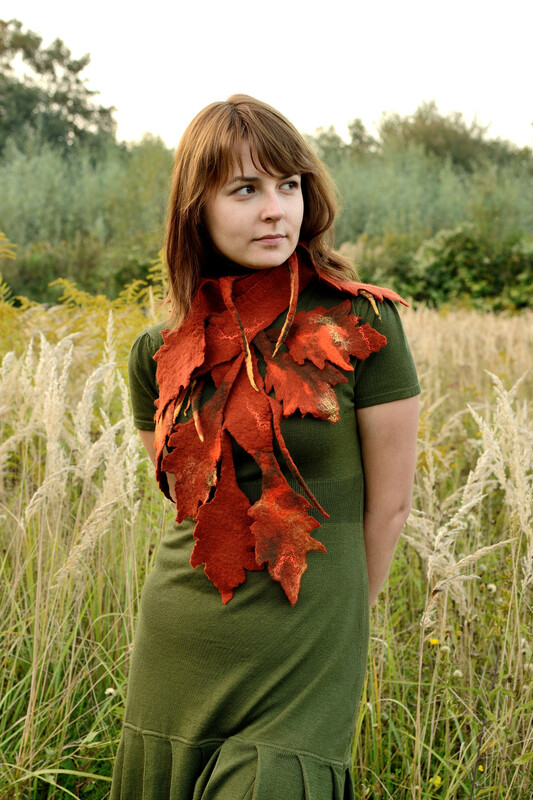 Thank you so much for this lovely scarf. 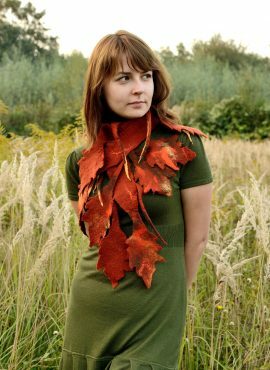 I gave it to a friend who saw me wear it for the first time at a conference. 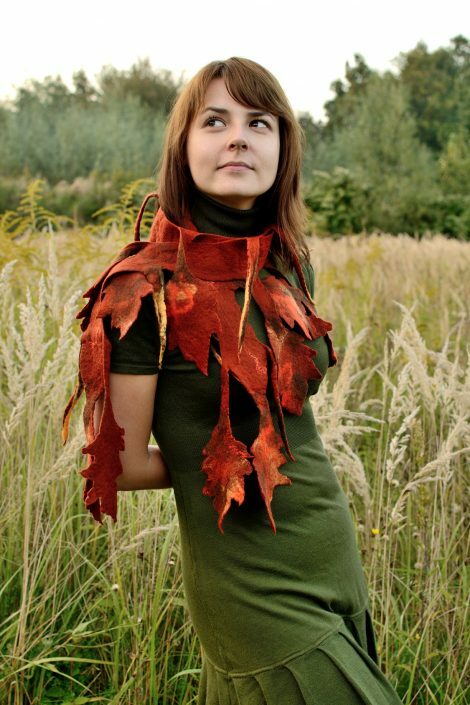 This is serious fun to wear!